The huge range of Cannondale Synapse bikes have been well received among endurance bike enthusiasts all over the world. We certainly enjoyed getting to review these bikes as well, with their alloy, carbon, and BallisTec Hi-MOD carbon frames and forks, and Shimano 105 and SRAM RED componentry across the line. Cannondale can rarely do any wrong, with some high quality winning road bikes that have seen Tour de France and won awards. So we always jump at the chance to review a Cannondale line. We took a couple of Synapse models both on and off road to see how they would ride. 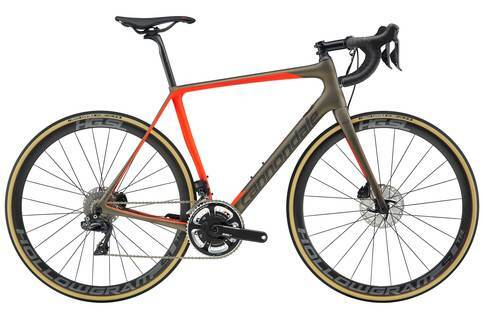 These bikes are super lightweight, and built from some high quality componentry, along with some of Cannondale’s own quality parts. The saddles and carbon frames are super comfy, and the overall performance is buttery smooth. Ultegra groupsets on some models really won us over as well. The tires have some good clearance, and the backend offers stiffness and smoothness, and the versatility of these bikes is astounding. The saddles are comfortable, and the overall ride on these bikes is perfect for endurance. Some of the models, such as the Synapse Sora may not have the best brakes, however, and you may not be able to upgrade easily. These road bikes offer high performance, quality specs, including some of Cannondale’s own componentry, and are ideal for those long runs. With models ranging from easily affordable price tags to the more expensive pro prices, the Cannondale Synapse series has something for everyone. If you are trying to go pro, you should definitely invest in a Synapse Hi-MOD. If you just need a practice bike, or something for leisure or urban riding, a Synapse Alloy Claris should meet your needs.